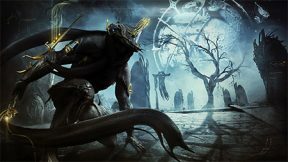 Arbitrations (code named “Elite Alerts” during development) were introduced with Update 23.1, Chimera. These are special alerts designed to provide challenges far beyond that of traditional alerts along with some powerful rewards. Are you prepared for Sortie level alerts with some unique twists? If so, read on to learn all you need to know to participate in this new mission type! Before you can begin Arbitration missions, you must first complete the Star Chart. Yes, that means every single node with the exception of a few such as the Mutalist Alad V assassination node. All those Dark Sector nodes you put off, all the Defection missions you decided to skip over and any unfinished Orokin Derelict nodes must all be completed. If you don’t have Arbitrations unlocked yet, talking to this NPC will yield dialogue which states you are not worthy of Arbitration. The Arbiters will then clarify exactly which nodes you have left to complete on the Star Chart. If you have many nodes uncompleted, they will only list a few specific mission nodes and then provide the sum total of all the other nodes required. If you have only a few nodes remaining, they will inform you of every remaining node required. 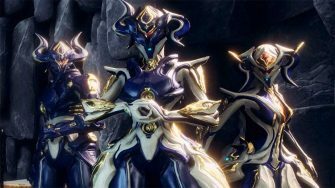 Arbitrations are end-game content, so don’t stress about unlocking them until you feel confident in your ability to handle Sortie level content without dying. Completing all the nodes won’t take long if you are a veteran player who has already fully unlocked the Star Chart and simply left some terminal nodes unfinished. Since Arbitrations are new, there are currently many veteran players finishing Dark Sectors and other missions. As such, now is an excellent time to finish them if you prefer grinding these nodes with others! Once you’ve unlocked Arbitrations, you can access them by going to your Alert tab on the Star Chart. These Alerts occur every hour and last for an hour so there is always an Arbitration active at any given time. As you can see, Arbitrations have Sortie-level enemies and also have unique mission conditions. All Arbitrations are endless missions which means enemies will become tougher as you progress. Make sure you are at least able to handle Sorties before you attempt Arbitrations because unlike Sorties, you only have one life. If you die in an Arbitration, you die in real life… Okay maybe not, but you will be permanently dead in-game with no chance of reviving. Yes, that means your teammates can’t revive you either so play on the safer side. – Defense: Mobile defense target rather than stationary, similar to Sorties. Time between waves is reduced. 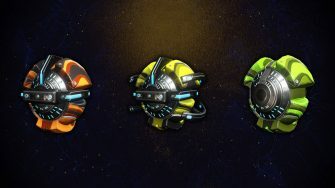 – Interception: Towers controlled by enemies fill opponent progress bar twice as quickly. – Excavation: Time til dig is complete increased from 100 seconds to 180 seconds. – Survival: Life Support Capsules provide 25% less Life Support. – Defection: Grineer defectors cannot be revived. – Infested Salvage: Consoles have half health. However, it’s not all downside. 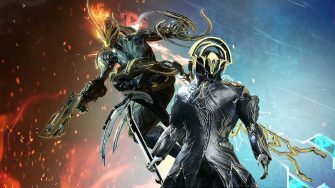 Every Arbitration, as shown above, provides an Ability Strength bonus of +300% to a random Warframe along with a +300% damage boost to a random weapon. 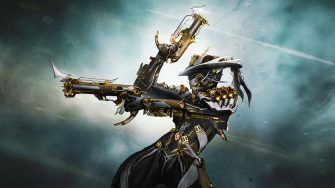 If you bring this Warframe or weapon along, you will receive these bonuses. 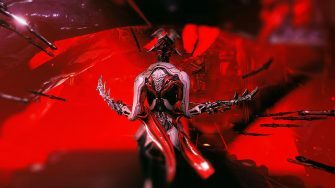 In most cases, it’s not worth bringing the Warframe or weapon with the provided bonus since you’ll want to bring a loadout which suits both your comforts and the mission type. However, every once in a while, you might get a nice bonus such as Rhino STRONK … ER! Do you hate Nullifiers? How about Shield Ospreys? What if those two were to have a child? That’s what Arbitration Shield Drones are: An abomination which will have you pulling your hair out in no time if you don’t deal with them swiftly. These pesky fliers provide all nearby enemy units with complete immunity to all damage and abilities. You read that correctly: Complete immunity. However, despite how annoying this sounds in theory, it’s not so bad in practice if you’re prepared. First, keep in mind abilities do not work on the Arbitration drones. As such, it’s best if you bring at least one weapon with a decent AoE attack since, as you can see in the picture above, the Drones are quite small. If you bring a weapon like the Arca Plasmor, you’ll be able to deal with these annoyances in no time at all. Keep an eye out for the red aura shown above as that means a drone is nearby. In other words, you’ll continue to receive only Rotation C rewards until you choose to extract. 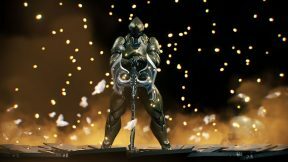 Rotation C rewards are currently better than A or B when it comes to Arbitrations as the only change is more Endo, better Ayatan statues and an increased drop chance for the Arbitration unique mods. Additionally, you are awarded 1 Vitus Essence for each rotation completed which we’ll discuss more in the next section. Lastly, dying in an Arbitration mission does not destroy the rewards you’ve obtained up until that point. While you will lose out on all drops you picked up from the floor during the mission, you will not lose any of the mission rewards including both Vitus Essence and any rotation rewards. You can safely leave a mission once you have died without losing any of your rewards (despite there currently being a bug where you can be shown a mission completion screen with no rewards if you died). There are two ways you can be awarded for playing Arbitration alerts. The first is from the mission rewards which you can view below. The second is by talking to the “Arbitration Honors” NPC discussed above in the Arbiters of Hexis room at any Relay. This NPC has a shop where you can spend any Vitus Essence achieved from Arbitration alerts. Most of these rewards are cosmetic, but of note are the two mods you can purchase currently: Cautious Shot and Power Donation. At the time of writing this, both mods cost 15 Vitus Essence. Power Donation, in particular, is an excellent high capacity aura mod which decreases your Power Strength, but increases the Power Strength of all teammates. 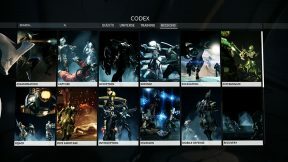 Shown below are all the mods you can obtain exclusively from Arbitrations. The big question on everyone’s mind right now: Should I bother completing Arbitrations? 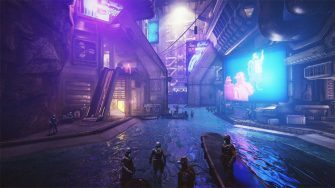 There has been some negative feedback from the community as many feel the current state of Arbitrations makes it nothing more than an Endo farm. However, keep in mind that Endo has a platinum value since you can sell Rank 10 mods (particularly Primed mods) for a decent premium over their unranked counterparts. In addition, several of the unique mods look like they can be “broken” with enough experimentation from the community. As such, it seems likely that at least a few of these mods will retain decent Platinum values even as Arbitrations become aged content. However, it’s not possible to reasonably calculate Platinum per hour until mod prices stabilize. It’s safe to assume Arbitrations are worth doing in a practical sense while new due to inflated prices. Of course, we should mention Arbitrations are fun if you can get past the annoyance of those pesky drones. It’s an easy way to play endless missions that start at Sortie level so you can skip some of the boredom associated with Mot endless Survival missions, for example. It’s one of the only mission types with “pressure” as Sorties have become trivialized by veteran players, although admittedly that pressure mostly comes from trying not to get one-shotted! While Arbitrations aren’t perfect, they should improve over time as other rewards are potentially added. We hope this guide helped you and feel free to share your tips in the comments below.